This week in the garden the rose JOY by one of today’s outstanding hybridizers, David Clemons, is knocking it out of the park and giving me a great deal of pleasure. Every day this week as I visit this rose I’m thinking WHERE IS THE ROSE SHOW? I just might have “the one” this week. 🙂 Actually, earlier in the season one of my sprays of JOY received 2nd place at the Ill/Ind District Rose Show, but a 1st place would be very welcome!!! Look at how many blooms come at once AND there are more than this picture shows! David Clemons is known for naming his roses for thoroughbred horses, but for two special roses he chose to name them for special women in his life–his mother Joy, and most recently he named another of his beautiful roses, Tammy Clemons, after his wife. Don’t you just love that! 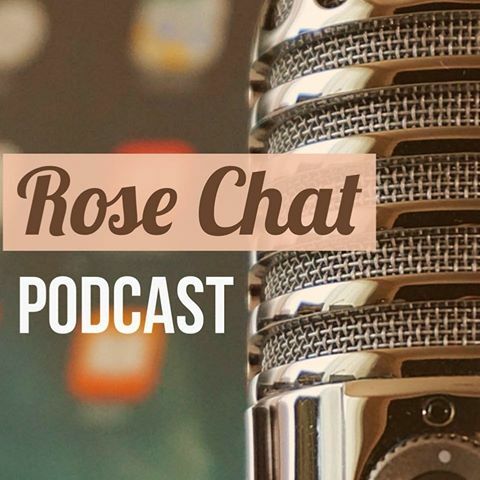 Joy, Tammy and many other of David Clemons roses (e.g., Whirlaway) find their way to the awards table at rose shows all over the country regularly and they are major standouts in the garden. To see other roses by David Clemons … read on here. David’s roses are available for purchase from For Love of Roses @ forloveofroses.com. 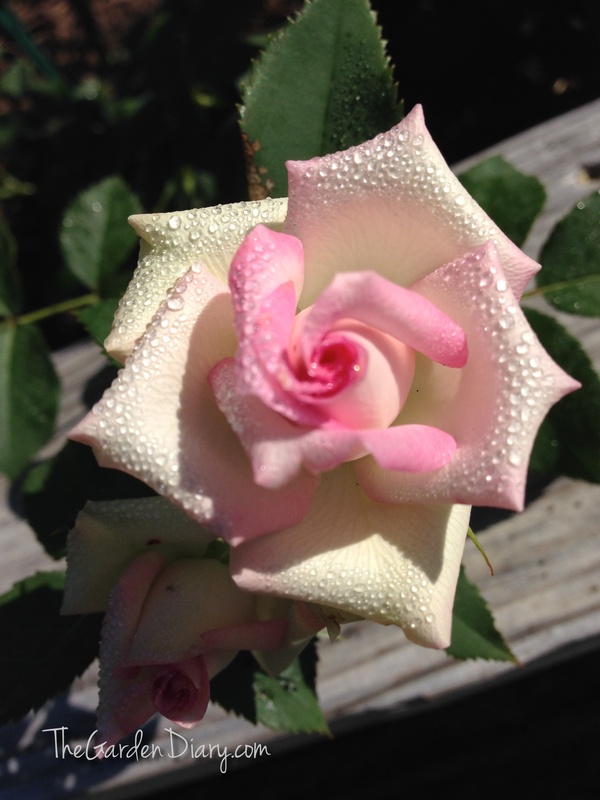 Take a peak at this site for the very best in mini and mini-flora roses. 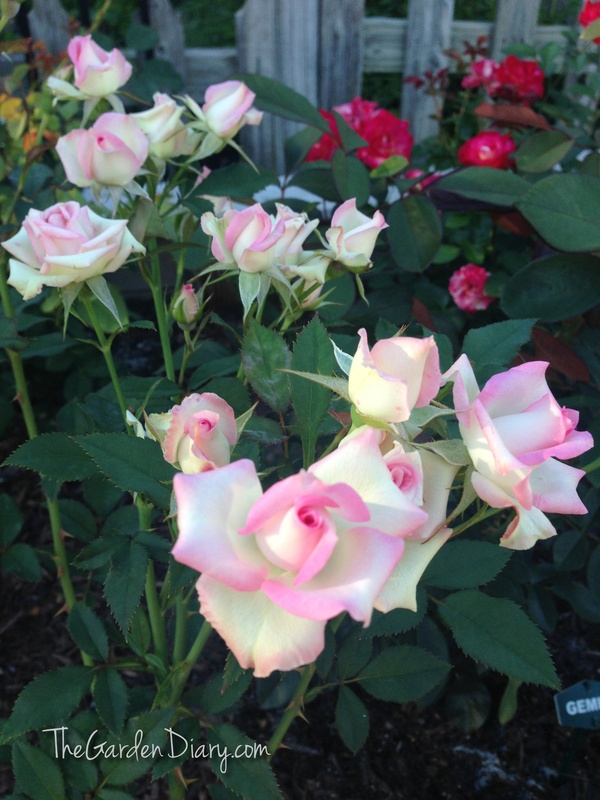 Richard Anthony, David Clemons and a group of other amazing hybridizers have beautiful roses for sale! I hope today life is bringing you joy in abundance! Wow. What beautiful roses. I particularly like the second photo (Joy after a shower). Love the “surprise” in the gallery! Sweet, sweet boy! Hello, That would be Bellflowers… Campanula. You are welcome. I really enjoy that perennial! Joy is a lovely rose. And, you always see it at Rose Show on the winners table. My plant grows in a raised bed. I am in Zone 5b and do give it winter protection by covering high on the plant with mulch. It is not a large rose in my garden but it is a blooming machine! Having it in a pot for the first year is a great idea. Best of luck and much JOY!